<?xml:namespace prefix = o ns = "urn:schemas-microsoft-com:office:office" />Our 2007 Hawaii reunion was a grand set of events, particularly the events at Hickam AFB as the Air Force went all out for the 11th Bombardment Group (H) Association veterans, families and friends. The weather was very stormy, a six day rain! The Dec. 7 flagpole ceremony was moved inside. This annual ceremony was very well done and very touching too. Two of our attending Dec 7, 1941 vets, Bud Jung and Ralph Naslund, placed a wreath. In addition, the Air Force provided a U.S. Flag to each of the 11th BGA Dec 7,1941 Hickam vets and widows of our Dec 7,1941 vets now deceased. Lt.General Chip Utterback, the 13th AF Commander was the keynote speaker at this ceremony. A breakfast followed at the Hickam Officers Club with estimated two hundred attending including the reunion attendees and Air Force personnel. The Hickam officers� wives (Barbara Coghlin leading) very gen­erously provided special lei to our veterans, wives and widows. Pipe Major Coleman entertained the attendees with a special bagpipe performance. Additionally the 11th BGA WW2 veterans and wives were the recipients of the U.S. Flag as guests of the Air Force. Col John Torres, 15 Airlift Commander gave the welcoming address for the breakfast. The breakfast event was capped by a special Hickam poster signing by the veterans and a visit to the Hickam Heritage Room facility at the Hickam Professional Military Education Center. Throughout the Hawaii reunion, there were tours of the city, military museums, Arizona Memorial, the Punchbowl National Cemetery (Doyle Ebel & Neal Siebenbruner placed a wreath) and a dinner/show at the Hawaiian Culture Center. Also there was time for veterans interviews, professional photographs and visiting. 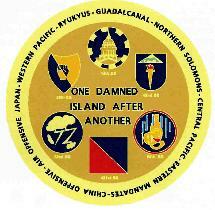 The 11th BGA also introduced their first challenge coin and it was very much in demand. It is a beau­tiful piece, which displays the 11th BGA distinctive insignia, the six squadrons of the Association and more. The last evening was reserved for the annual banquet and program at the Hickam Officers Club. We were very pleased to have participation by the Air Force Band of the Pacific, Honor Guard and Chaplain ser­vices. Maj. General Richard Perraut, VC 13th AF, provided the keynote address. 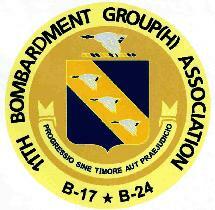 This 11th BGA acknowledges the superb efforts by our Point of Contact, Thorn Guthrie, 15th ALW Protocol Chief, for his overall coordination of the Air Force annual Dec. 7 commemoration cere­mony and the integration of our 11th BGA reunion attendees into the ceremony and hosting the 11th BGA associated reunion events at Hickam. The December 7th flagpole ceremony (which was moved inside due to rain) at Hickam Air Force Base, Hawaii. Breakfast at the Hickam Officer's Club after the flagpole ceremony. Dinner at Hickam Officer's Club on December 9, 2007. Wreath laying at the Punch Bowl National Cemetery.